As it is Friday, I thought it would be ideal to blog about a quick and simple recipe that’s ideal for a weekend when you are too busy to spend too much time in the kitchen slaving away over a hot stove! Believe it or not, I do bake dishes that do not involve chocolate! Although I am a massive chocolate fan, I do understand that not everyone adores the dark stuff and that a lot of people do not share my sweet tooth. 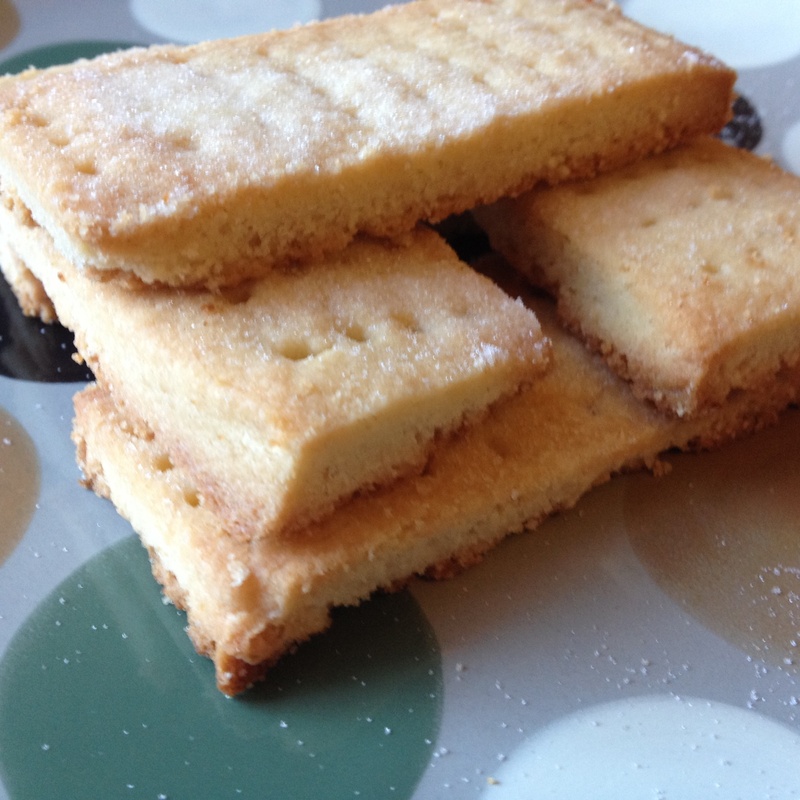 Recently, I wanted to send a dear friend a little something in the post that would bring a smile to his face; this friend does not have much of a sweet tooth so I thought something plain and simple, such as shortbread, would be ideal. This bake not only travels well, it is also super speedy which is perfect for me as although I’m often full of good intentions, I’m also rather short of time! 2. Dice the butter and put into a large mixing bowl. Sift over the flour and add the caster sugar, salt and vanilla essence. Rub together with your fingertips and gather the mixture into a ball. 3. On a lightly floured work surface, roll the dough out into a rectangle. 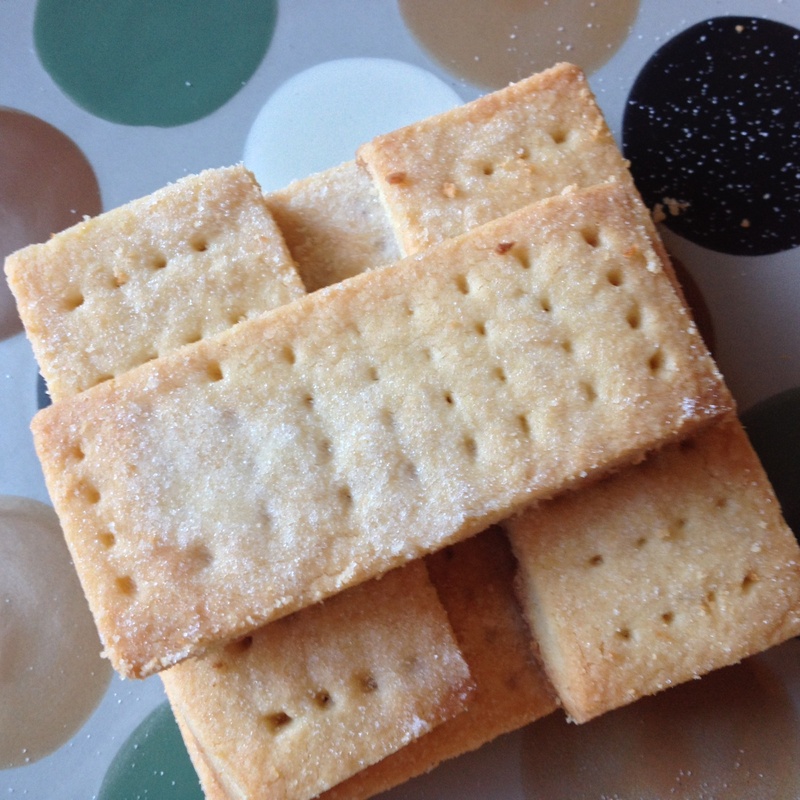 Using a ruler, cut out into biscuits 4cm wide by 10cm in length. 4. Place the biscuits onto a lightly greased baking tray and prick all over. Place in the fridge for 30 minutes. 5. Sprinkle a tbsp. of sugar over the biscuits and bake in the oven for 8 – 10 minutes until golden. 6. Sprinkle over caster sugar before serving and trim any rough edges. 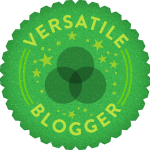 I know I am usually an advocate of using margarine however, this recipe really calls for good quality, full-fat butter. It really gives the biscuits a rich, buttery flavour beyond compare. I adore how these biscuits crumble and melt in your mouth, perfect with a cup of tea at the end of a long day. The biscuits packed really well in a small plastic container and cost very little to post; an ideal quick and simple bake to brighten someone’s day.